What to do at the California Library Association Conference! The California Library Association conference is coming up in just a few days and this year it looks like there’s going to be some great stuff happening there. If you’re not from California or you don’t know about the conference, it’s going to happen on November 3-4 in San Jose at the convention center. I’ve been planning my time at the conference and I wanted to share with you some of the awesome things that I found that were happening there. I would almost always say that you should be following the twitter hashtag for more conference details, but it looks like they don’t have one and the CLA Twitter Account isn’t using one either. Rick Thomchick did have one tweet about CLA and used the Hashtag #cla2012 but I just found out that the actual conference hashtag is #calibconf please feel free to join in the conference back chatter there with us! A lot of people are coming into town the night before the conference and probably trying to figure out what to do with their Friday night. Why not come out and socialize and network with some local library folks? So, I’m putting together this meetup for Friday night at the Tanq bar which is conveniently located in the official conference Marriot Hotel. All local library staff who aren’t attending the conference can come have a drink and network with those of you who are coming out! It’ll be a great time and a good opportunity to make connections and plan your conference experience with some good people. To see who’s coming or for more details you can check out the FB Event Page. Battledecks is a fun competition between presenters at a conference. The first time I saw it was at Internet Librarian where it went to ALA and then I brought it to CLA about two years ago. I’m excited to see the tradition carried on and I’m also excited because I don’t have to organize it! Basically, what happens is that presenters go on stage to make a presentation out of a deck of powerpoint slides that they’ve never seen before. The slides are often fun or funny and it usually makes for an entertaining presentation regardless of the skill of the presenter. You can check out the Facebook Event Page for more info or you can just know that the battle begins Saturday at 8 in the Marriot Salons 1 and 2. Paul Sims put together a great night of librarians just for fun and networking at the Blank Club on Saturday Night at 9pm. There is also a Facebook Event Page for for information. So, if you’re in town for CLA or just want to party it up with some awesome librarians and catch performances by Bunny Pistol & Barbary Coast Cabaret with DJ Tanoa “Samoa Boy”, then you should come out and have some fun with all of us. It’s a great way to get together and celebrate our profession. 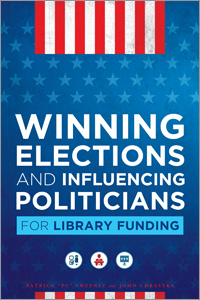 BTW… This is also a fundraiser for EveryLibrary the brand new Library PAC so come out and support libraries at the ballot box while having a good time! While the one big school in California is San Jose SLIS, there are many librarians who went to other schools or librarians who are currently enrolled in other programs. So, really… If you’re a student, were a student, or one time met a library student you can come and meet up with students and alumni at the SLISConnect/ALASC happy hour and make some new friends! Once again, you can check the Facebook page for more info otherwise the event will be at the Tanq Bar at San Jose Marriott 301 S. Market St. from 4:30-6pm. Of course, I’m always one to self promote! So I have two things going on at CLA this year. The first is a poster session for the Story Sailboat that you should come check out. 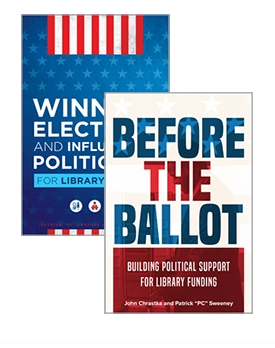 If you’re not familiar with our project, Joey and I are running a Library and Literacy advocacy project in the Bay Area by sailboat that was funded by crowdsourcing on IndieGoGo. You can come check out all the details in the Exhibit Hall. The second thing I’m doing is a presentation with Andrew Carlos and Brooke Carey Ahrens called Expand Your Mind that will show off 30 different emerging technologies that you can implement in your library cheaply and easily! It’s a kind of Speed Dating for Technology so come and find a tech to fall in love with. PC Sweeney is your library the one at Belle Haven Elementary? Hi Odette, Nope. I’m in East Palo Alto. Part of the San Mateo County Library System. Its a great place and it is awesome!